Ratanak International, based in Burnaby, has received a Stronger Together grant to help develop rice mills in Cambodia. Several locally-based organizations have received sizable Stronger Together grants. A Rocha Canada, ACTS / WaterSchool, FH Canada, Northwest Baptist Seminary, Ratanak International, Trinity Western University and Wellspring were among the 20 organizations which were, in all, awarded over one million dollars. 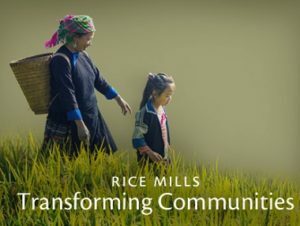 To launch three new rice mills into rural communities in Banteay Meanchey province, Cambodia, to address local issues of poverty and trafficking with an upstream, strategic solution allowing youth to remain in their villages. Six foundations joined together in 2017 to collectively award $1,090,000 in grants to innovative projects run by Canadian Christian charities. Participating donors included founding members Bridgeway Foundation and John & Rebecca Horwood, along with more recent collaborators Kehila Foundation, Redleaf Foundation, and River Dali Foundation. This year the David & Dorothy Lam Foundation joined in to make us even stronger together! These partners believe that by sharing due diligence and communicating clearly and strategically, that funds can become more productively deployed than if any one donor had given individually. Grants are awarded for innovations such as: the merger of two similar water-delivery charities, the development of a robust digital network for Canadian Christian leaders, creating sustainable livelihoods for youth in Cambodia and Ghana, medical testing for women in the remote Colombian Amazon, expansion to a new area for education training in Rwanda, national research on what makes for flourishing churches and the expansion of a wellness centre for students. Bridgeway Foundation has been supporting Canadian charities since 1997 and has been working closely with several other foundations in recent years. Trinity Western lawyers will be at the Supreme Court of Canada next week. Lawyers representing Trinity Western University (TWU) will appear before the Supreme Court of Canada November 30 – December 1 to argue for the university’s right to operate a law school. (The arduous process has gone on for several years now; see the timeline here.) President Bob Kuhn and all supporters of the school would appreciate your prayers. 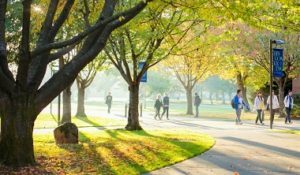 Sunday, November 26 is a day set apart to pray for the successful resolution of the Trinity Western University law school case, which will be heard in the Supreme Court of Canada on November 30 and December 1. This day of prayer is an initiative of The Evangelical Fellowship of Canada and the Canadian Council of Christian Charities. Because of the broad potential implications of this case, it is also a day to pray for the future of religious freedom in Canada. Free resources are available for you to download and reproduce for your church or other group. Go here for a one-page summary of the facts and their significance and here for a bulletin insert. Also on the 26th, Missions Fest and Hope Vancouver invite you to join them for City-wide Prayer on Zoom, which will focus on Trinity Western’s law school, freedom of religion in Canada and Mission Fest Vancouver. Regent College will be hosting a special afternoon session for pastors with Dr. Iain Provan next Thursday (November 30). He will address the topic Reformation 500: Why Should Pastors Care?, relying on his impressive and extensive (712 page) book The Reformation and the Right Reading of Scripture. One has to wonder now, 500 years since that fateful day in 1517, if Martin Luther would not feel we have lost the greatest resource, both for the Reformation and for the life of the church. Though we often seem to envisage Luther with hammer and nails, it was in fact the Bible that he saw as the greatest tool, the most indispensable resource in both living the Christian life and then restoring the church. But how are we to read the Bible in a way that leads to this kind of restoration. It’s that question that led me to the writing of my book . 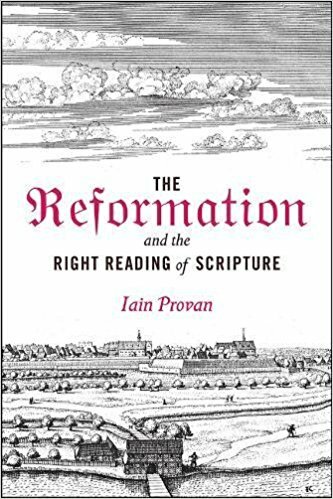 . .
Regent College invites pastors and church leaders to come out for “an in-depth conversation with Iain Provan.” They request an RSVP to churches@regent-college.edu. Regent College is planning to develop more weekday training events for pastors in the future. Ken Smith with Regent College president Jeff Greenman. Regent College has lost one of its founding fathers. Kenneth Oswald Smith passed away on Tuesday, November 14 at the age of 90. A member of Regent’s founding Board of Governors, Ken has the distinction of having given the school its name “Regent.” He is one of only two people to have received an honorary doctorate from the college. A lover of music and the arts, and a very gifted singer, Ken was an extremely gracious person and a true gentleman. The Regent community mourns the loss of our dear and generous friend, even as we celebrate the Christ-honouring life he lived. Please join us in thanksgiving for Ken’s life and in prayer for his wife, Ruth, and their family. A memorial service will be held on Saturday, December 2, 2:30 pm at Granville Chapel, 5901 Granville St, Vancouver.